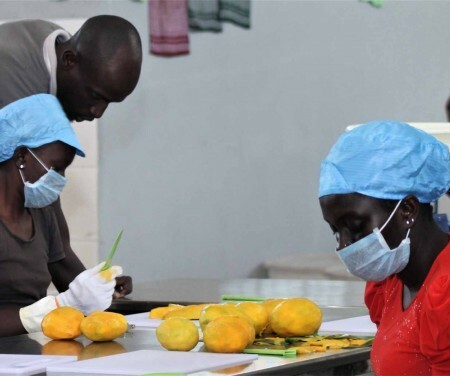 This program supports enterprises in the Gambia to improve their quality management. 1. Basic quality enhancement programmes (all sectors): eg basics of LEAN, 5S, etc, are aimed at streamlining internal processes, reduce defects and waste, enhance efficiency and address specific market and customer requirements (domestic market and/or specific export markets). 2. ISO 9001 (all sectors): Implementing an ISO 9001 quality management system will help you assess the overall context of your enterprise to define who is affected by your work and what they expect from you. This will enable you to clearly state your objectives and identify new business opportunities, put your customers first, making sure you consistently meet their needs and enhance their satisfaction. 3. HACCP (food sectors): Becoming compliant with the food safety systems according to Codex Hazard Analysis and Critical Control Points (HACCP) will bring the benefit of being in compliance with requirements of certain export markets since many countries have adopted or are likely to adopt HACCP in their food regulations as mandatory requirements. Implementing HACCP will require prior implementation of GHP. The selected enterprises will benefit from direct assistance over a period of time by a team of youth trainers being trained on the job and overseen by international experts. The assistance will be tailor-made to the needs of the enterprise and may focus entirely on the domestic market or on specific export markets depending on levels of operations, vision of the business in question and available resources at enterprise level. The scope of the assistance will be defined jointly with each enterprise as part of the initial assessment. Enteprises must meet the following criteria to apply to this opportunity. 1. Commitment to improve quality management in order toexpand sales on domestic, regional and/or international markets. 2. Having committed personnel to implementrecommendations, maintaining records andfollowing up on initiatives. 3. In case of certification to HACCP or ISO 9001, commitment to implement the recommendations for compliance with HACCP/ISO 9001 requirements, including potentially having the financial means to upgrade the infrastructure ifrequired (unless related grants or loans can be secured). Complete and return the Application Form to the address below. The application form is attached to this post and is available at the TGSB website. Both electronic and hardcopy applications are accepted. Youth enterprises are particularly encouraged to apply. Deadline for submission of applications is August 10th 2018.